Ex parte orders can affect custody and are issued by a judge on an emergency basis according to evidence supplied by one parent only. To be successful, you must convince the court that there is a real threat of danger or bodily harm to your child, and that waiting until your spouse has a chance to respond and participate might increase this threat. Very few aspects of a divorce have this sense of urgency, and most requests to change custody do not meet the requirements to be resolved on an ex parte basis. However, in cases where your spouse has demonstrated an intent to harm or flee the country with your child, an ex parte order may be necessary to prevent these actions from occurring. To obtain an ex parte order for custody, states typically require you to file a motion for emergency custody. In the motion you need to include the relief you are requesting and the factual basis that supports the court granting the order. An example might be a request for temporary full custody based on evidence that your spouse has a history of domestic violence and has made a verbal threat that he will harm your child if you try to limit his custody. The motion typically includes or is accompanied by an affidavit, which is a sworn statement that the statements in your motion are true. Although notice to your spouse is generally required for all requests made to the court during a divorce, you may forgo this step if doing so would frustrate the purpose of the order. For example, if your spouse has made plans to leave the country with your child in an effort to evade the power of the court, providing notice of your request could motivate him to leave before the order can go into effect and be enforced. Although the court does its best to act quickly in these matters, it can take several hours to have the paperwork reviewed and signed by a judge. Ex parte orders are temporary in nature. This means that after your motion is granted, a hearing will need to be held in the near future. The exact time period will vary between states, with some requiring the hearing to be held within 10 days and others providing a window of 20 days. 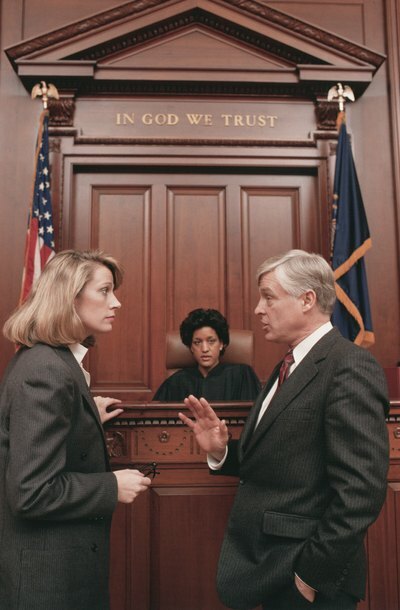 At the hearing, your spouse will be provided with an opportunity to tell his side of the story and the judge will make a more informed custody determination. This could result in the court either withdrawing the order or extending it until a permanent order is established when the divorce is finalized and divorce decree issued. In Ohio, each parent has equal rights to the child and courts almost always give visitation to the non-custodial parent. Sole custody is an arrangement in which one parent has sole decision-making authority and is the parent with whom the child lives. Some parents seek sole custody with no, or very limited, visitation with the other parent, often referred to as full custody. If you are seeking full custody of your child, you will need to prove the other parent is an unfit caregiver for your child and must go to your hearing fully prepared. Because Ohio law errs on the side of providing visitation to non-custodial parents, it is wise to hire a family law attorney to represent you if you seek full custody.